I first bought it because a guy called Casey Neistat, an American you-tuber, mentioned it on a podcast. 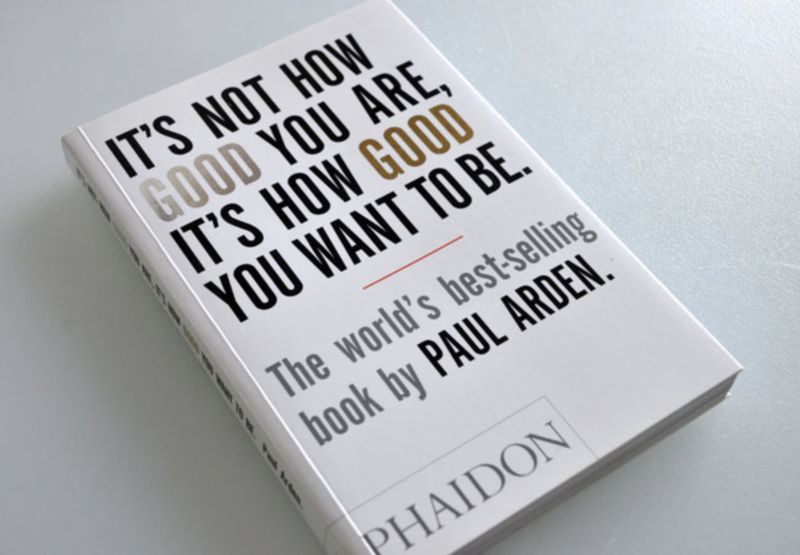 Paul Arden worked for Saatchi and Saatchi back in 1977, he was successfully known for some of the big advertising campaigns around brands like British Airways, Silk Cut and Fuji. He came up with the slogan ‘The car in front is a Toyota’, so if you’re of the age where you remember that (I certainly am), that’s pretty impressive. I just love this book, it’s really easy to read, it’s got big pictures and writing (which is good for me) and it’s all about not worrying too much about the educational side of life, but more about the attitude you need to succeed and how you can stand out. Probably best summed up by one of the pages, which says ‘fail, fail again, fail better’ (Samuel Beckett). So that’s the kind of thing this book is about. If you like that kind of read and want to stand out, want to be better, then this is a book worth getting.